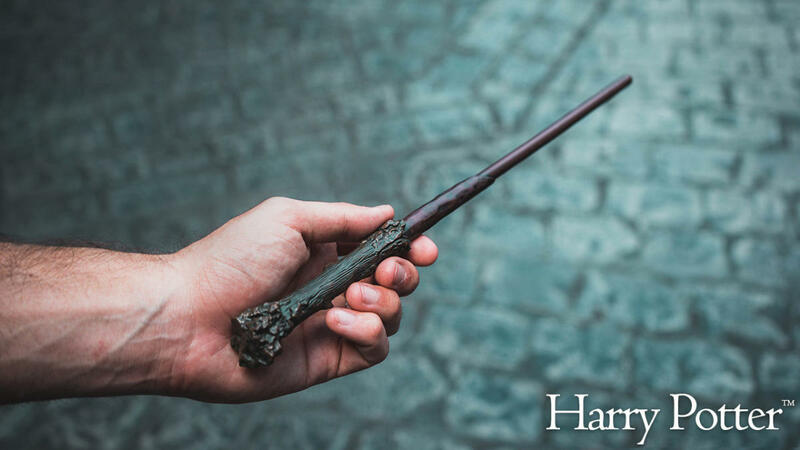 When The Wizarding World of Harry Potter – Diagon Alley opened in July 2014, Universal introduced a new way for guests to get involved in the magic of Harry’s wondrous world: interactive wands. 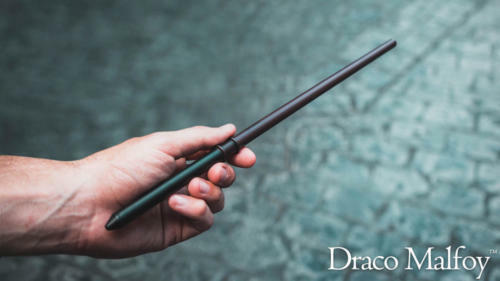 These high-tech items allow users to directly influence their environment and “cast spells” to produce various effects in both Diagon Alley and Hogsmeade. 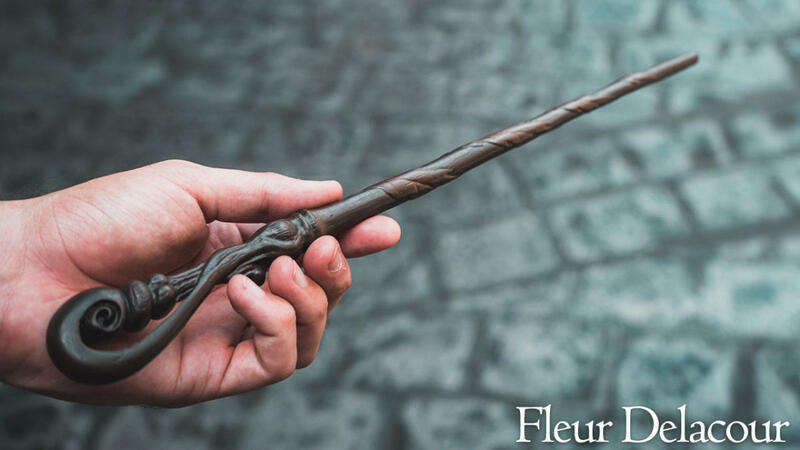 The original wands sold at the Wizarding World when Hogsmeade first opened in 2010 were replicas. They looked great, but to produce any magical effects, you had to use your imagination. With the opening of Diagon Alley in 2014, Universal has introduced new, interactive wands. Somewhat surprisingly, these “next generation” models are quite similar in appearance to the older type, but they tend to be slightly thicker than their predecessors, with a translucent half-sphere at the tip. This bead is backed with a reflective substance that allows the wand to be “seen” by the receptors at each spell-casting location (hope that wasn’t too much of a spoiler!). 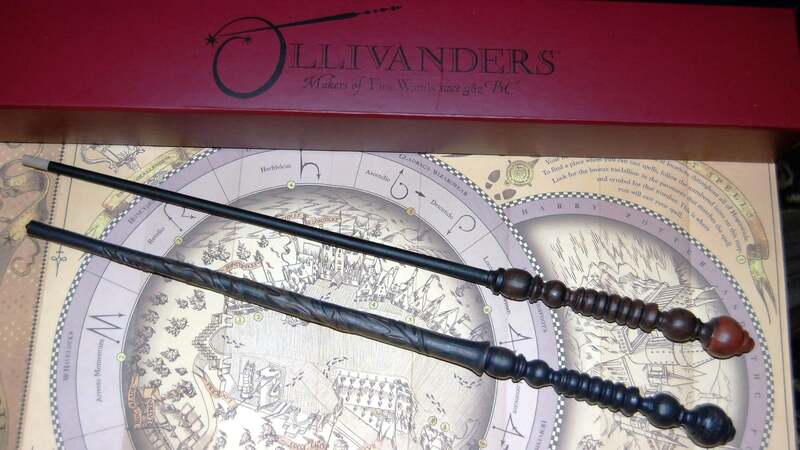 Also, there’s a difference in price: interactive wands cost $49.95, while the originals come in at $43.95 (plus tax). 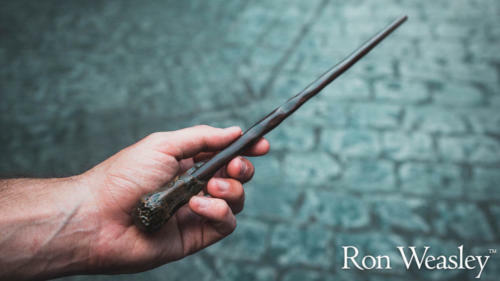 All of the “unclaimed” wands (see below) are available as interactive wands, as well as a number of the character ones, such as Dumbledore’s, Harry’s, and Hermione’s. 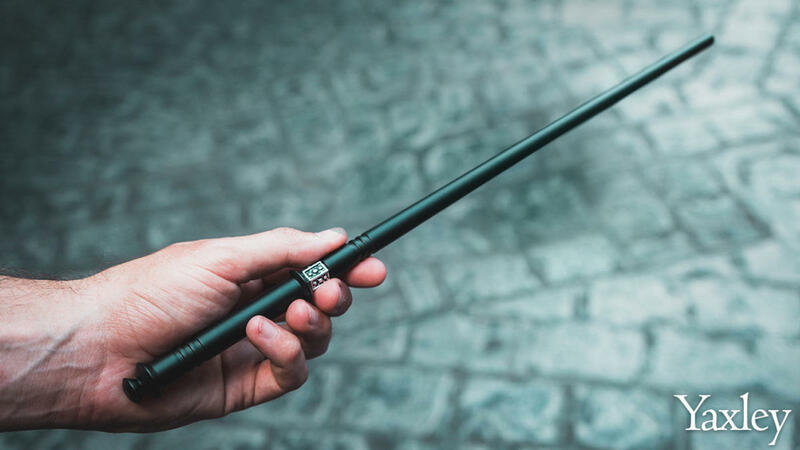 Interactive wands are sold in Ollivander’s Wand Shop, both the main store in Diagon Alley and the “branch” in Hogsmeade (purchases actually made in Dervish and Banges). 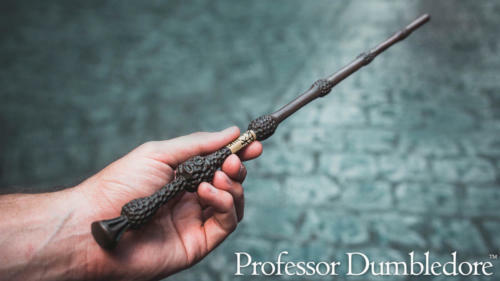 If someone in your party is fortunate enough to be chosen by a wand in the show at Ollivander’s, the wand she will be offered to purchase will be an interactive wand. 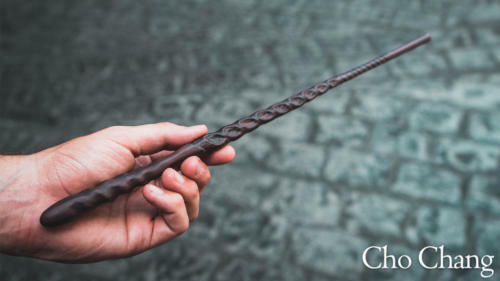 All of the interactive wands are also available at Wands by Gregorovitch in the Carkitt Market section of Diagon Alley, while the interactive character wands can additionally be found at the main Universal Orlando gift shops at the front of each theme park and at Universal CityWalk. 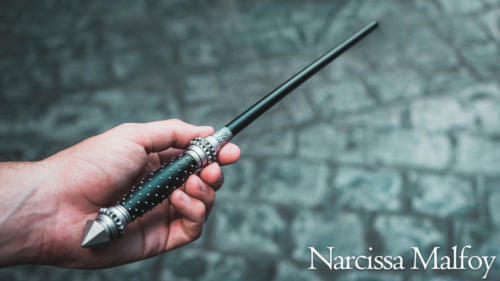 Unclaimed wands are those not associated with any character in the Harry Potter books or films. These wands are based on the woods and characteristics of the Celtic tree calendar. 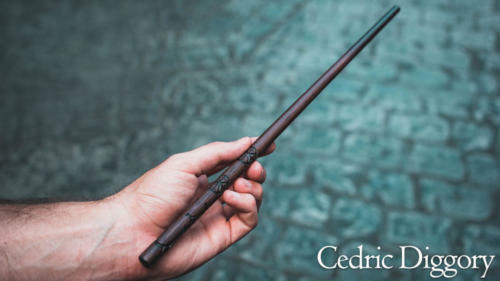 Using that information, Universal has created a selection of 13 wands based on that same Celtic tree calendar. If you approach one of the assistants at Ollivander’s, he may suggest using the date of your birthday or a significant life event to help in your wand selection; it should also be noted that the wands in the Ollivander’s show (and the characteristics sometimes described by the wandmaker) are usually based on birth date (which is one of the questions asked of the guest selected in the show). 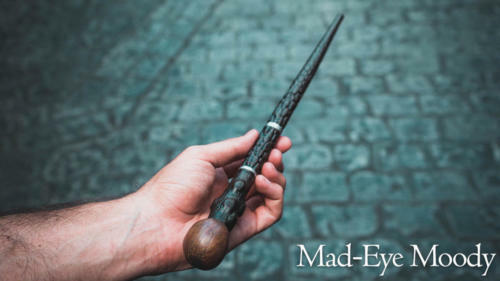 The best place to view and buy any of the available wands is in Ollivander’s in Diagon Alley. There are two glass cases at the far end of the shop (to your left as you exit the wand selection) that contain all of the “unclaimed” wands, with a display featuring the Celtic calendar and written descriptions of each type of the various woods’ properties. These display areas can attract quite a crowd, so be patient. 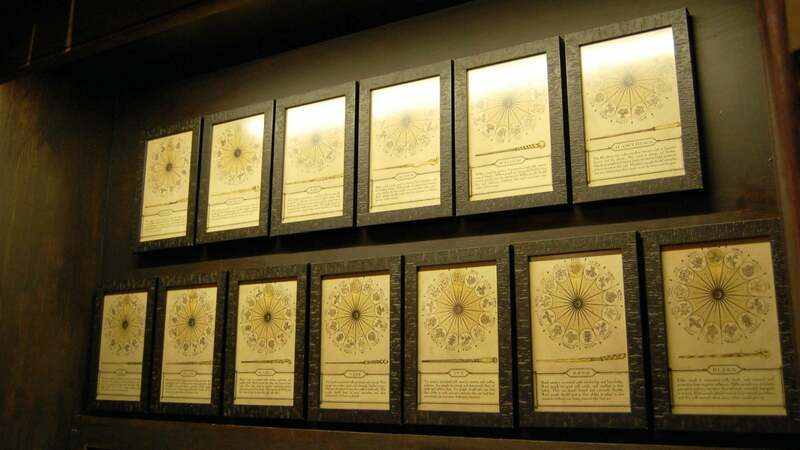 Once you’re ready to purchase one, be sure to check the number of people around each of the cases, which are located at opposite corners of the shop’s wall, and go to the one with the smaller crowd. 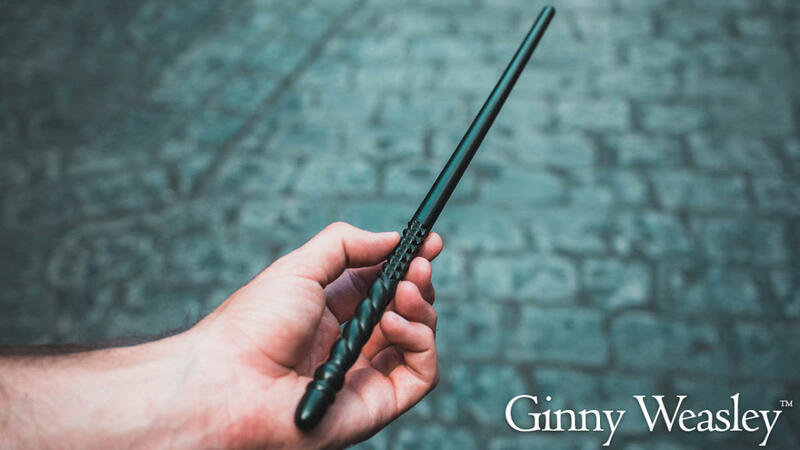 The team member overseeing the wands will be glad to help you choose one and will usually even allow you to hold or “test out” various wands. Spell locations are marked by medallions set into the pavement, which indicate where wizards and witches should stand to cast their spells. Each marker conveys all necessary information: the direction spell-casters should face (by using an elongated point), the verbal component of the spell (what words should be spoken), and the motion(s) of the wand. 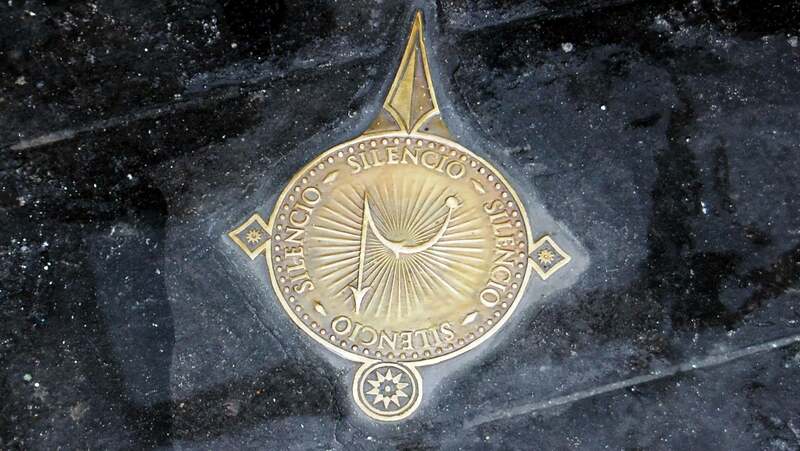 These markers can be found throughout both halves of the Wizarding World. 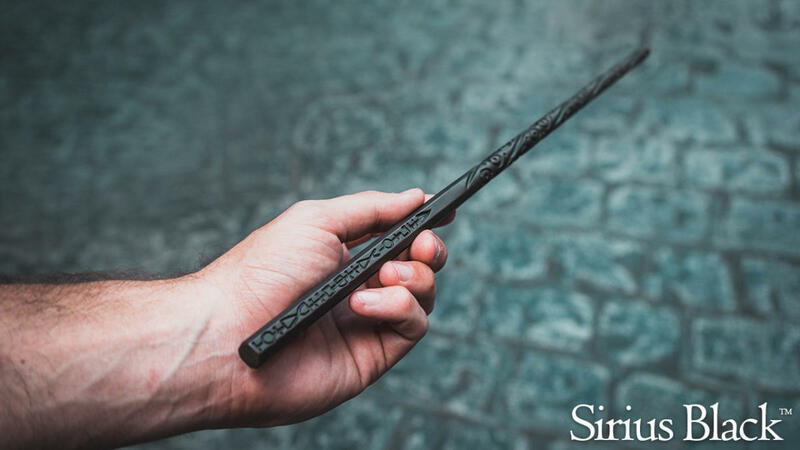 Each interactive wand also comes with a two-sided map that shows the spell-casting locations – Diagon Alley is on one side, with Hogsmeade on the other. 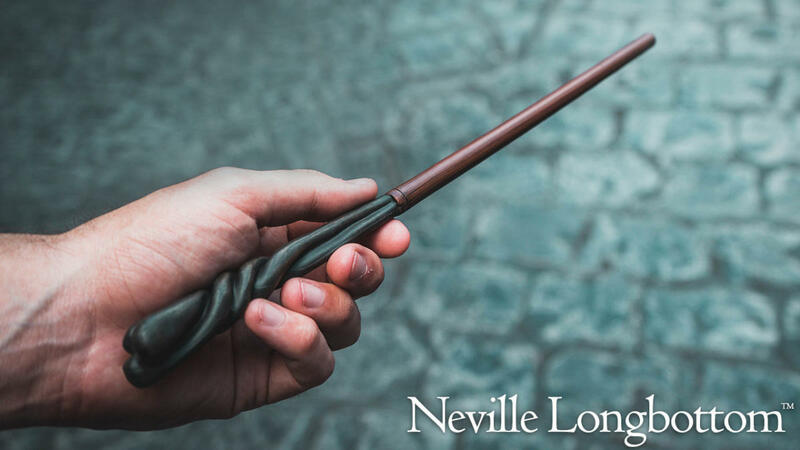 The map lists each location by number and provides the name of the spell and its wand movement. Many new spell-casters seem to ignore the map, but doing so may cause you to miss some of the niftiest magical opportunities; some of the spell locations aren’t easy to find – you’ll need the map! Keep in mind, the off-the-beaten-path spell locations are often quite empty because many folks don’t know they’re there. All the better for you, wise witch or wizard! Several spell locations are not marked on the map. Keep an eye out for these additional bits of magic. If you see the characteristic four red dots of light from the interactive encounter’s sensors, there’s probably a spell to be cast. Unmarked spell locations usually respond to a triangle movement. 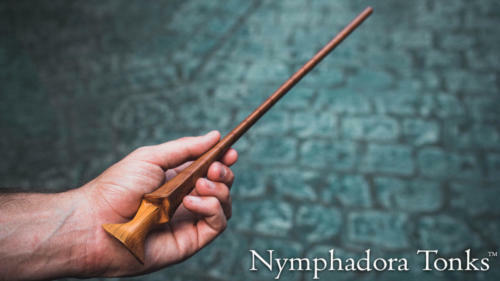 Don’t worry, though – they seem to be exceedingly “easy” spell-casting locations. Can you tell me where the hidden spots are? 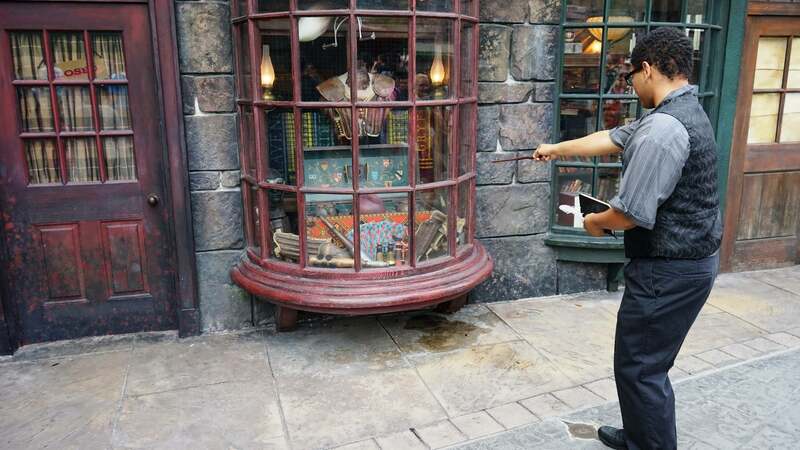 We can share two “hidden” spell locations: one is in the Slug and Jiggers Apothecary faux storefront along Diagon Alley and a second is in the right-hand window of Scribbulus Writing Implements on Horizont Alley. 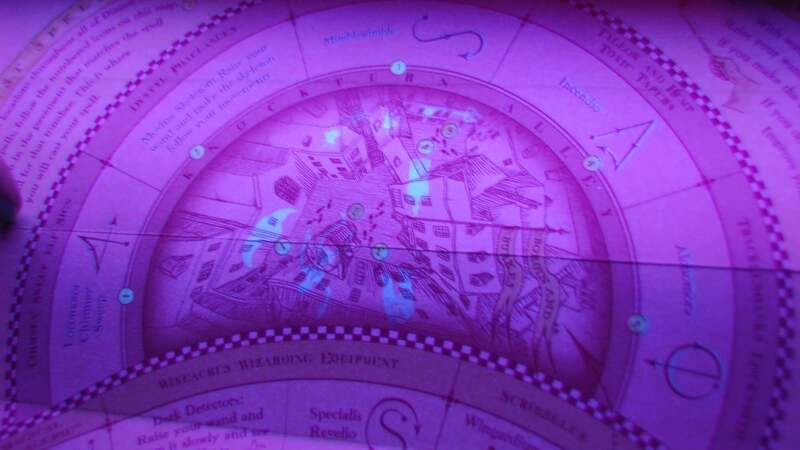 The Knockturn Alley portion of the map also has illustrations of the spells and interactive elements drawn in “invisible ink.” In order to see them, the map must be placed under a black light – when it is, images will appear (for example, the spot marked with a spider under UV light features a window where spider shadows are triggered by movement). The “hidden” images on the map are only visible in Knockturn Alley, which is filled with black lights, making them a fun surprise, and one many guests still haven’t discovered. Be sure that you’re casting your spell at the right location. 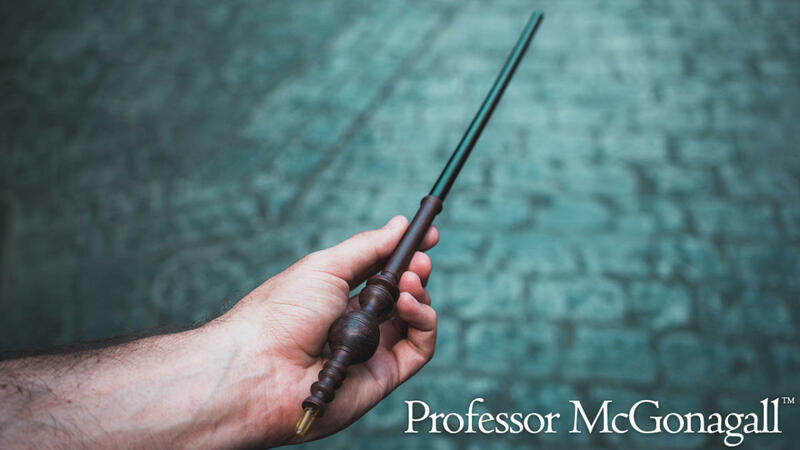 When you go through the spell-casting motion, point your wand directly at the four dots of red light to be sure that the camera can “see” your movement. Keep your movement small, as the camera’s area of reception is limited. 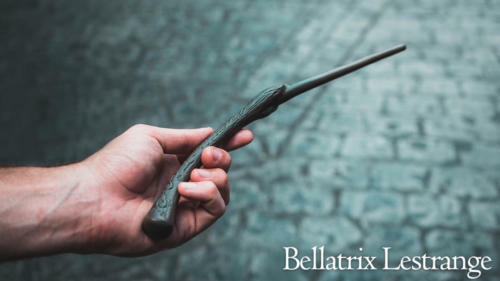 The best way to cast spells is actually without moving your arm; do the required motion using only your wrist. (This is really hard if you want dramatic flair, but with interactive wands, flair equals failure in spell-casting). Finally, be aware that some interactions are trickier than others; some will perform every time, even with an imperfect motion, while others require a good bit of precision to work reliably. In our experience, spell locations in Hogsmeade seem to be more difficult than those in Diagon Alley. Most spell locations are overseen by a friendly expert spell-caster. These team members are trained in helping guests perfect their technique and get the desired response. Although they are also on-site to guarantee that guests are able to cast spells and then make way for others, they are usually patient and considerate, helping guests succeed in spell-casting before moving on to the next people in line. 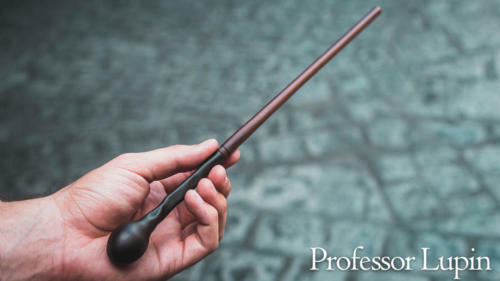 These team members are also enthusiastic and engage with aspiring wizards and witches of any age, encouraging them and praising their efforts. 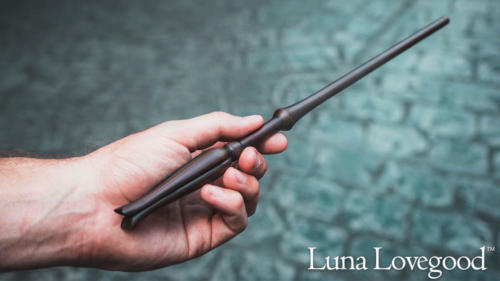 Take the time to appreciate their enthusiasm; they’re a great part of the interactive wand experience, as well. 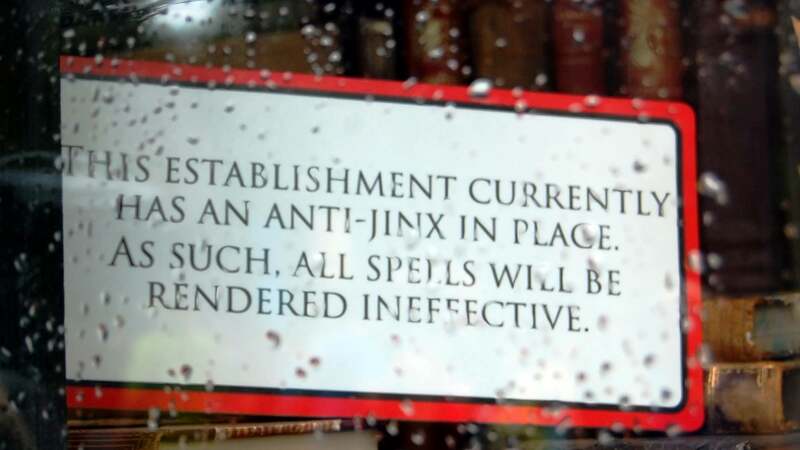 If a particular effect is not working for some reason, a sign will usually be placed in the location declaring that the spot has been placed under an “anti-jinx” and that no spells will work on it. If you see that kind of sign on display or an employee tells you that the effect has been “jinxed,” you’ll know to move on. Ideally, aspiring witches and wizards should be able to stroll through the Wizarding World and casually attempt each spell. Realistically, however, crowds in the areas can make spell-casting a little more challenging. Because interactive wands must be purchased and not everyone in the area has one (Diagon Alley and Hogsmeade are, after all, hosting Muggles), the spell-casting locations are not usually overwhelmed with crowds. There may be a small line for a location, but the spell-casting usually goes quite quickly, and there’s not a long wait. The interactive element is also quite effective in the sense that, even if you have seen the spell effect while another wizard or witch is casting, there is still something thrilling about successfully pulling the spell off for yourself. As we noted above, the interactive wand experience in Hogsmeade seems to be more difficult than the one in Diagon Alley. 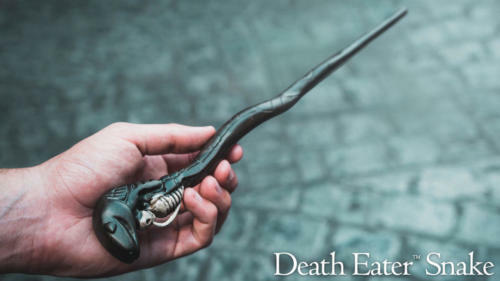 Not only are many of the spells more challenging to execute – some of the effects have been incorporated into existing windows, making the cameras harder to find and less effective at detecting wand movement – but guests are unaware of the experience and are often inconsiderate: they will walk, stand, or push in front of witches and wizards who are trying to cast spells. Combined with the difficulty of some of the spells, this lack of consideration can be very frustrating. 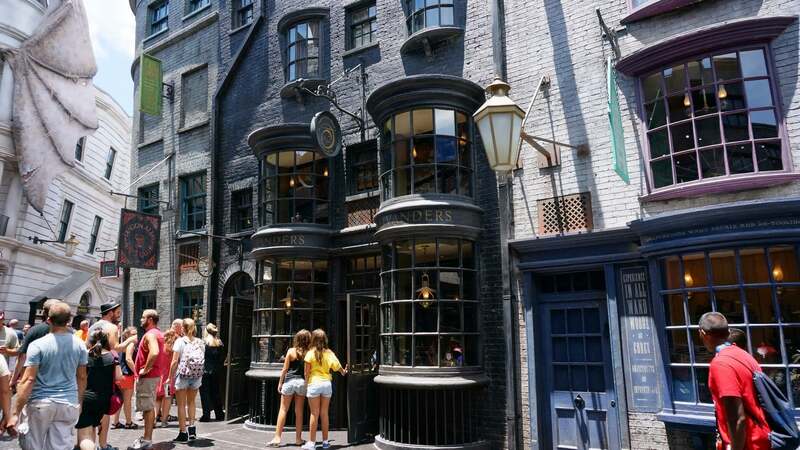 Most likely, it’s the result of guests being unaware of the newer offering in an established area combined with the smaller size of Hogsmeade. In any case, if you are accompanying a young spell-caster, you may want to stand in the space beside a spell-effect window to block interference while she is attempting to make the spell work. 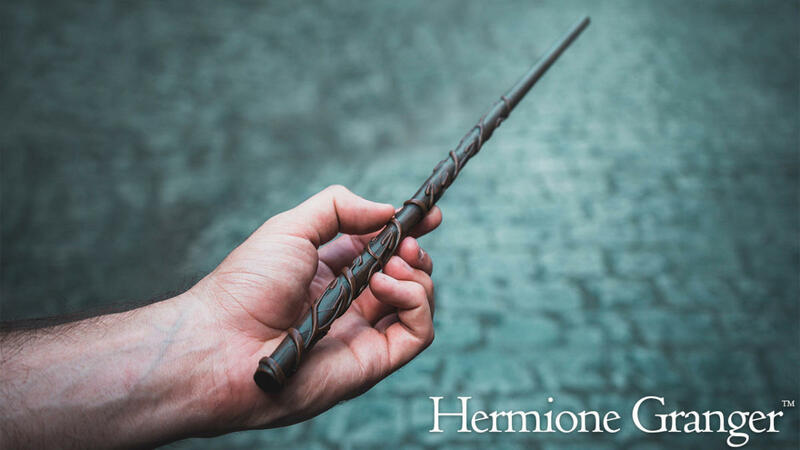 Not as many team members are on-hand to help aspiring spell-casters in Hogsmeade, either, so it may be a good idea to start your interactive wand experience in Diagon Alley and get some magical expertise before heading over to Hogsmeade. We’ve created a PDF file to provide you with a list of spell-casting locations, their difficulty, and the effect each spell produces. Please be aware that, because we explain the effect, this file is essentially a big spoiler. Overall, the interactive wand experience is an incredible amount of fun for guests of any age. 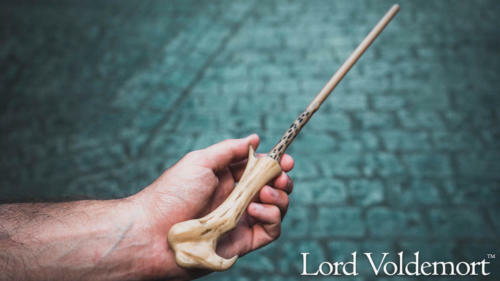 There is a great sense of satisfaction from making each effect work, and there is also the enticement of a learning curve; figuring out how the wands “work” and improving the number of times you “cast the spell” on the first try is actually rewarding (trust me, after struggling with silencing the talking heads in Knockturn Alley, it’s really cool to be able to walk up to them and shut them up with a single wand wave). Find your wand, use your map (or the guide), and no matter how much the Muggles annoy you, remember that the Ministry of Magic will be watching for those attempting unforgivable curses!